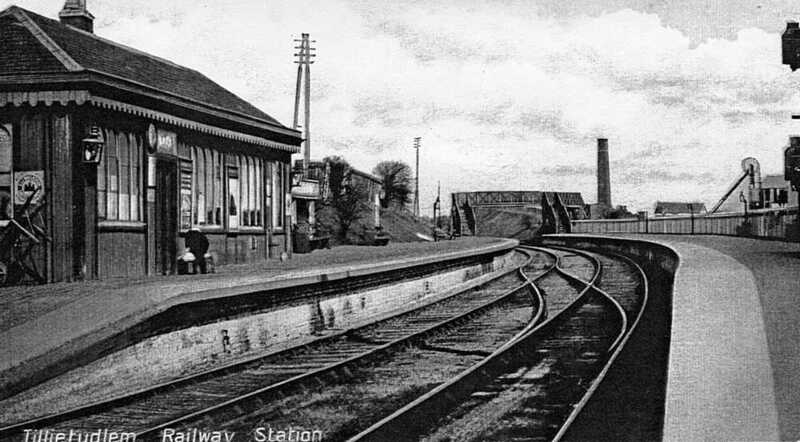 These historic photographs are from the collection in the Heritage Centre, Coalburn. They formed part of a series of booklets prepared by Jim Hamilton for the Lesmahagow Parish Historical Association in 1993. The modern photographs in 2018 are by Rozsa and David Halls. 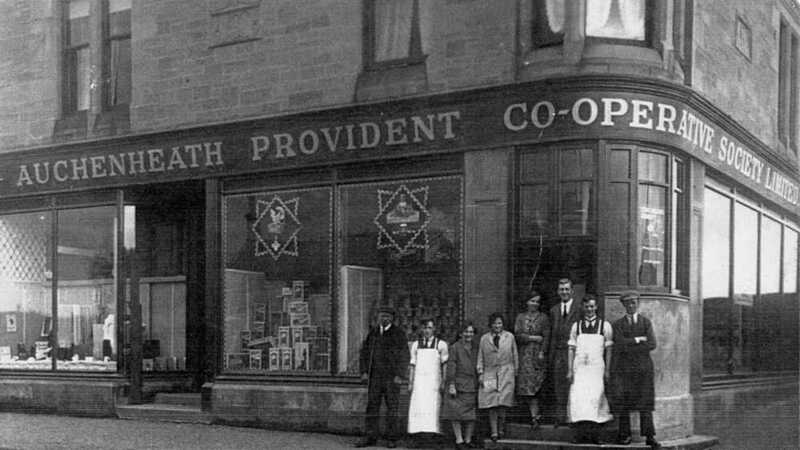 More on the history of the Co-operative Societies which had branches in the mining communities of Coalburn, Lesmahagow, Kirkmuirhill and Auchenheath. 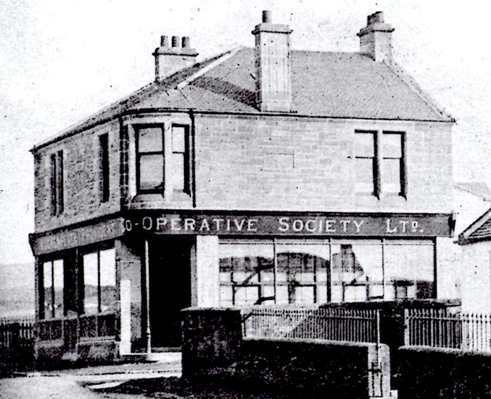 Another view of the Co-operative building. 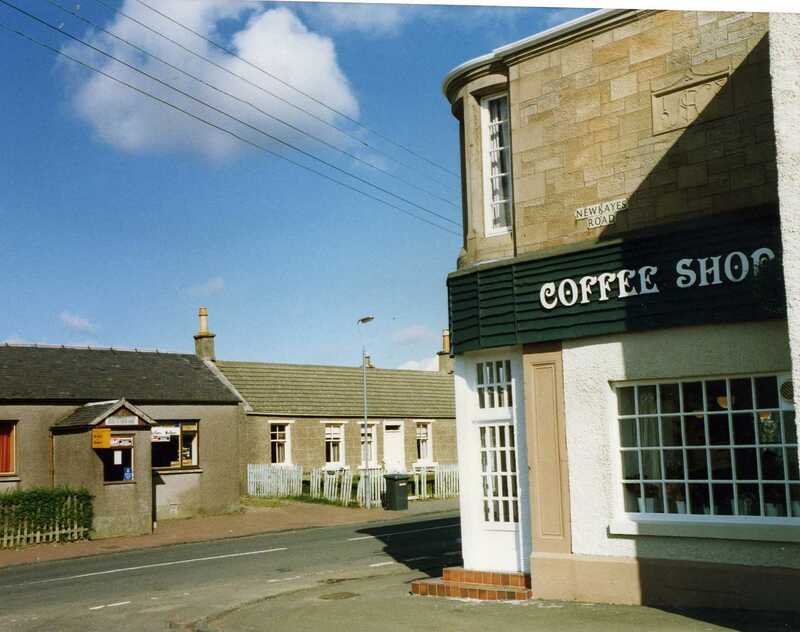 The background to this photograph is of a house in the Square, Auchenheath and it features Belle Burnside who was employed as a school cleaner. 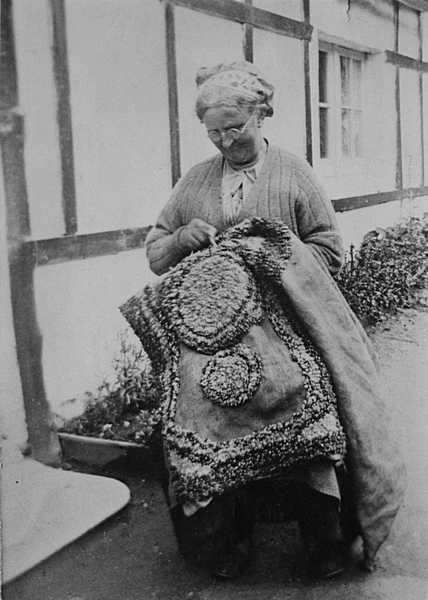 Rug-making was a craft born of necessity as it provided a comfortable and warm footing when placed on linoleum which covered the floors of houses in the pre-wall-to-wall carpeting age. 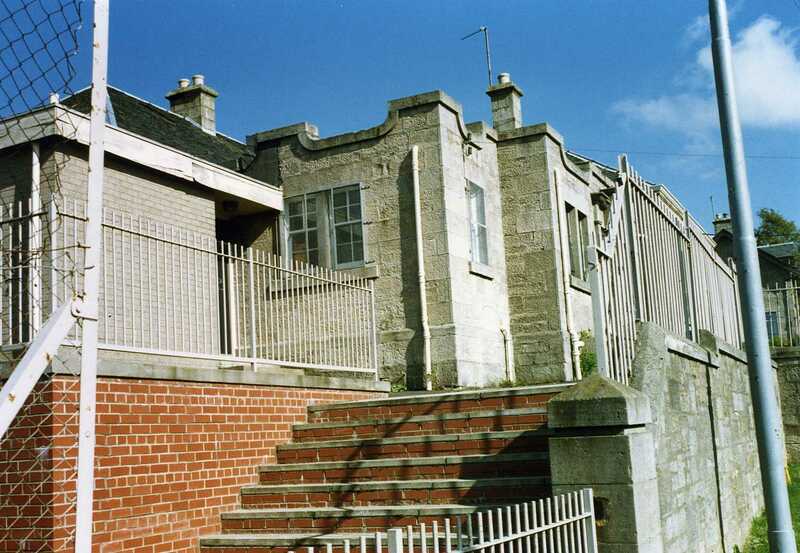 The school closed in 1992. The photograph below and the text are from the Hamilton Advertiser on 3rd July 1992. "Sad pupils and staff closed the book on Auchenheath Primary School this week.. as the bell went for the last time in 116 years. Strathclyde Regional Council sounded the death knell for the school in February, on the grounds that children would have better advantages if transferred to Blackwood Primary, 1 1/2 miles away. 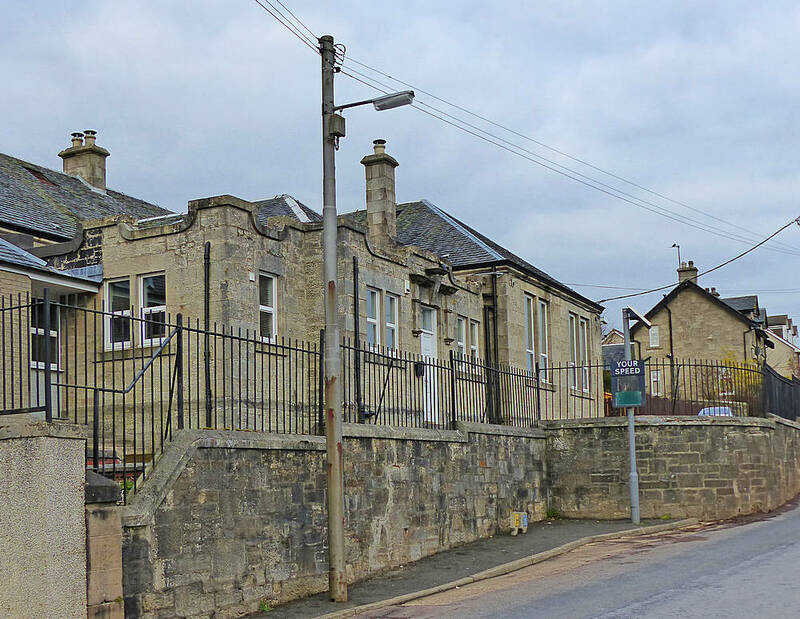 Parents, MPs and councillors campaigned unsuccessfully against closure - and on Tuesday Auchenheath's 19 pupils left for the summer holidays - and a new school. 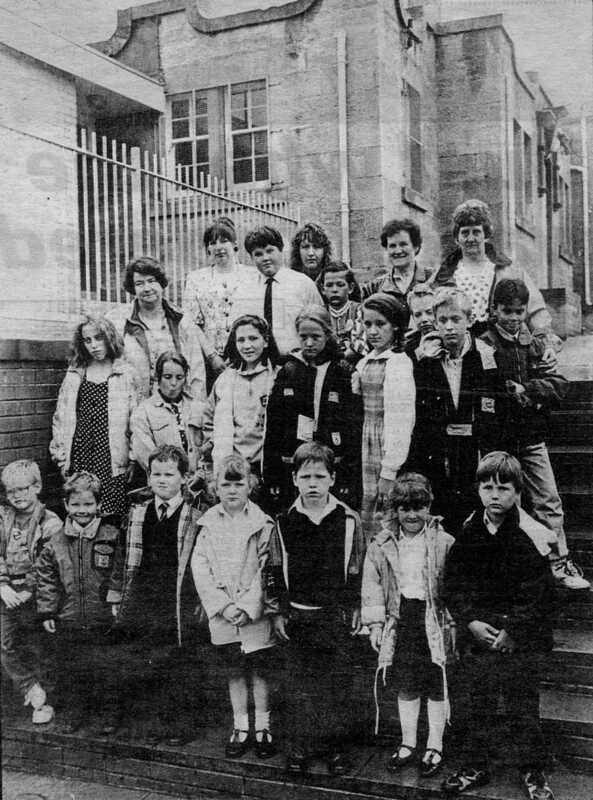 Pupils are pictured with head teacher Jane Graham (back left), secretary Rena Winning, teacher Betty Jarvie, cook Jacqueline McVie and caretaker Betty Mackie. " 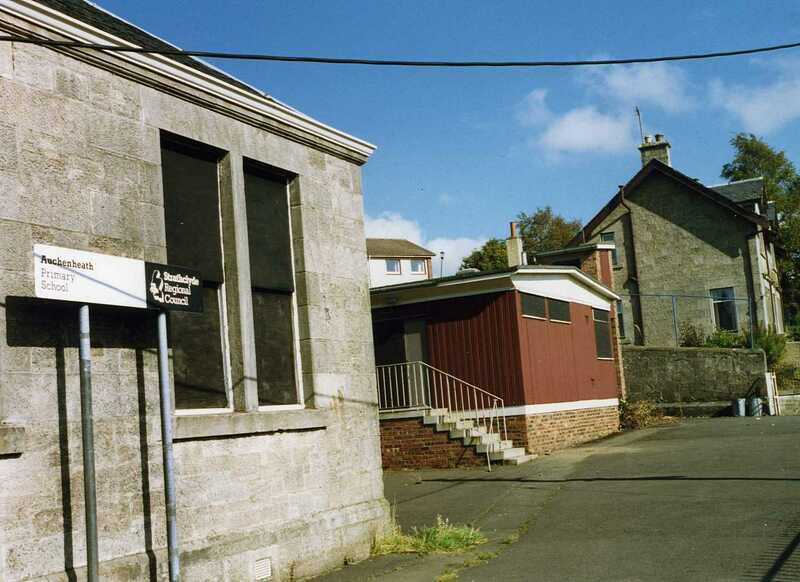 Two photographs taken of the school in 1993 by Jim Hamilton after the school had closed. "Tillietudlem Castle - occasionally styled Craignethan Castle - is the favourite haunt of the picnic party and the rambling society. Independent of its historical interest, the scenery around bonnie Tilietudlem possesses many attractions. Erected by Sir Jas. Hamilton, the cupbearer of James V., this fine specimen of the baronial style of architecture - at once a residence and a fort - came into the hands of the house of Hay, and now belongs to the Earl of Home, the representative of the house of Douglas. 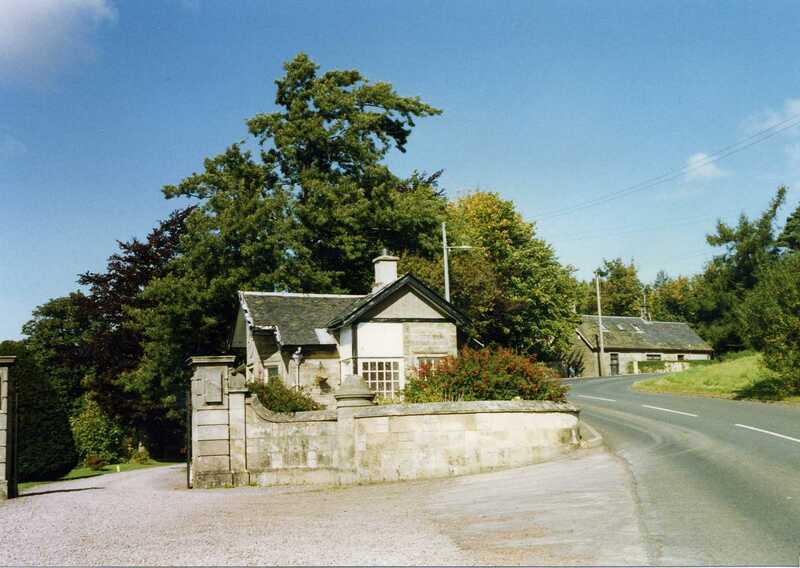 Queen Mary took refuge here after her escape from Lochleven, and one of the halls is still known by the name of Queen Mary's Tower. 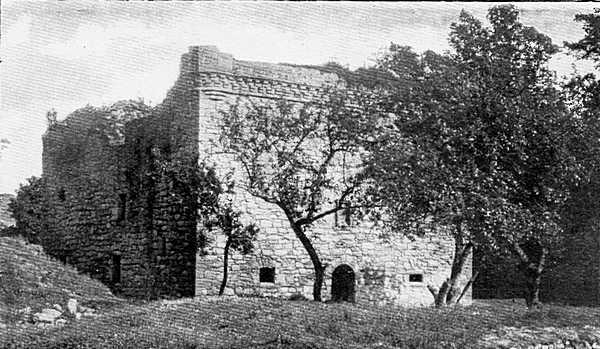 From the position of the Castle, the moat which surrounds it, the thickness of the walls, and the thickness of the central towers, which still stand, it must have been a stronghold of no mean pretensions. It is worth noting that this romantic ruin suggested to Sir Walter Scott the idea of his Tillietudlem Castle, described in "Old Mortality"."